Why don’t your salespeople do what they need to do? Are your salespeople not feeling the love from their prospects? Struggling to have long and meaningful conversations on the phone? They are not alone. 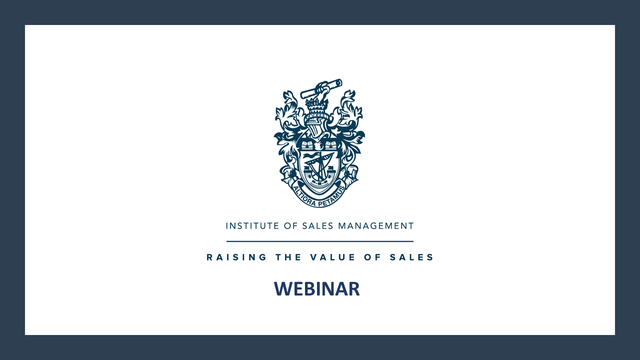 In this webinar, we will explore why you and your sales team might be avoiding the things you really need to do. We will look at confidence and comfort zones in a selling environment. You will also get an introduction to the ABCD of you, your Awareness, Bias, Comfort zone and Decision-making. Discover how you might go about improving your personal performance. You need to adopt it sooner than you think, as the self-service world is not going away - and your competitors know this too. Title: Why don’t your salespeople do what they need to do?